Every day launch new earn money apps in the online market. If you more spending your day on social media as compared to others activities like watching the video and funny vines. then I tell you about that. how to make money using that’s apps. In nowadays lots of application offers entertainment from shots videos so why are you only waste your time watching others videos. Make your content and get famous on that’s platforms and earn money from it. 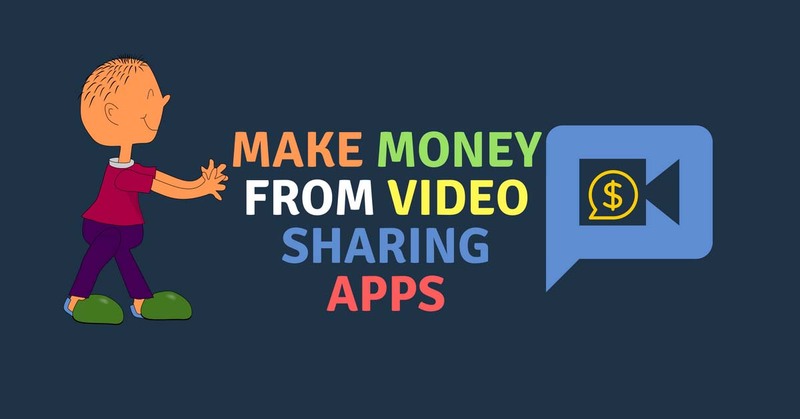 Earn money online from 5 best video sharing apps. Kwai app is also a video sharing platform. If you have some talent you can share with the world. To join this platform download this app from play store. After download opens the app and sign in with google, facebook which you want. Now you are ready to make a video. Here you can share dubbing video, some dialogue video, make short vines, and also post your original video on it. When you posting videos on kwai app and peoples watching your videos. you can get some coin. The coin exchange rate is 1 coin = 0.01$. When you withdraw your amount in your account you need PayPal account. If you don’t have PayPal account then first create your account in PayPal and link with your kwai app. For transfer amount in your PayPal, you must have a minimum 2$ amount. If you are a teenager you ever listen about musical.ly now become tik tok. Here people share our talent by posting 30 seconds short contents or dubbing and lipsing videos. It is one of the fastest growing social-based platform apps which offers peoples to make and post our talent in form of video content. 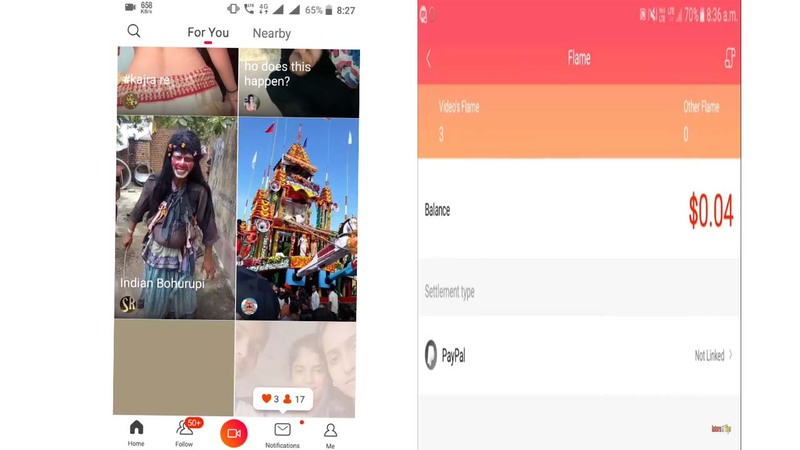 On tik tok you want to make money first you have must the huge amount of followers and fans they always watch your videos and connect with you. Tiktok never pays you money for posting videos on his platform. Here you can make money by going to live like Facebook and Instagram and other social networks. When you make the live session for your followers and when they send you emojis and stickers which is purchased from tiktok platform. 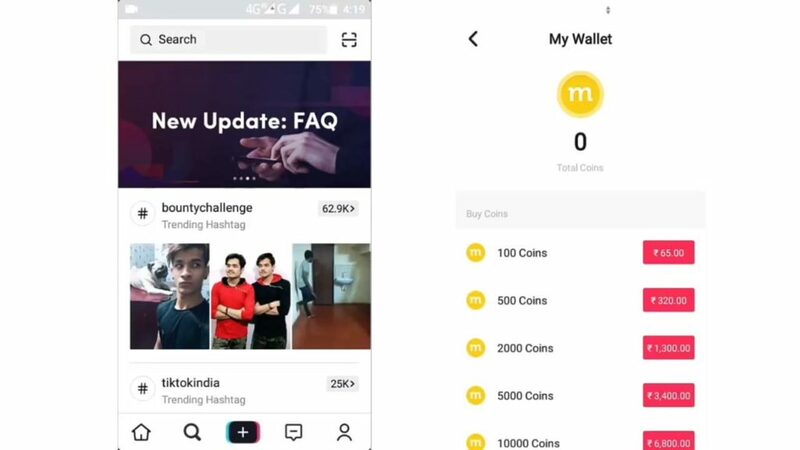 The amount which is paid by tiktok is half of every sticker amount another half they keep it. The average amount of stickers is $1 = 100 stickers. Popular Peoples make 1000$ in one day by going to live. It is a very good platform for making content and gets famous and also you can earn money from it. Like app is a video sharing platform. If you want to make money from it. First, you have to download this app from play store and sign through google account or facebook account. After that, you can set up your username and profile. After whole things done you are ready to make the video on it. In it lots of effects. When you making a video you can use amazing effects. In it, you can follow other people’s and see his videos. It has four categories, follow, latest, popular, global. In the profile section, you can see your videos, wallet, level and privilege, search, message and more. In this app, you have to collect beans or diamonds. If you have enough diamond to convert in cash then you can withdraw your amount in PayPal account. But before withdraw you must have 20$ in your like app wallet for transfer in your PayPal account. This is another video sharing app. Here you can also upload a short time video like 30 seconds to 1-minute video and you can earn money from it. In it, you can get flames from your videos and that flames you can convert in amount. They give money on based 1 flame = 0.005$. But if you want to withdraw the amount you need PayPal account to connect with it. 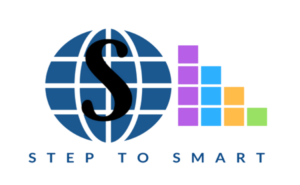 many peoples working on it and they earn lots of money by sharing videos in it. 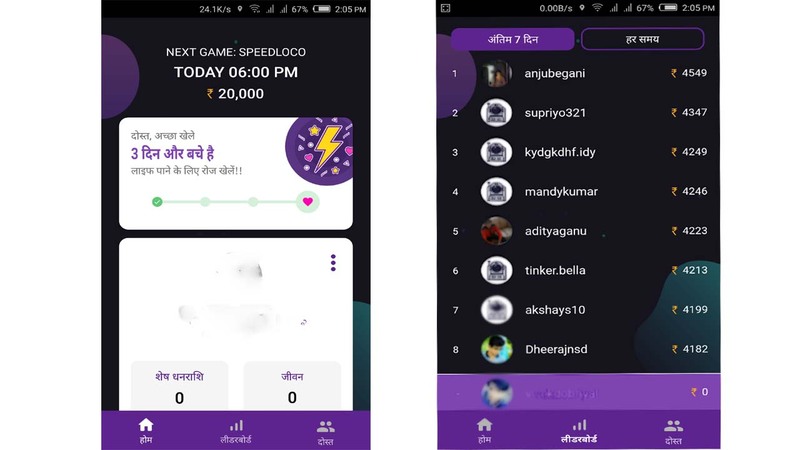 Loco app is quiz based app. It is a very popular app in India. The success of this app is genuine and pay money with loyalty. It was started in November 2017 and now they have 14 Million subscribers.it is based on KBC type. The big benefits of students they play and increase his general knowledge and also win big amount from it. This app is available in multiple languages if you don’t understand English and you can choose your regional language including Hindi. This is work on live quiz based if you want to play and win a huge amount from it you can join it easily. First, you go to the play store and type their loco app and download it. After installing that open it and set up your account. If you creating your account first time they ask for your mobile number which is you using in paytm account after that you can choose your language in which you want to see your questions. If you want to set up your profile & account click on setting after clicking appear any options which are shown in the picture. you choose first option edit profile, here you can upload your profile picture and edit your name and username. In the second option, you can change your paytm number. In the third option, you can change language at any time. The fourth option is if you don’t know about this app how to play this game then here you read the instructions. Before one minute of live displays the rules of the game in your screen. The questions are related to general science, politics, physics, current affairs. Every question has three options. you can choose the right answer from it. If your answers are incorrect you get eliminated from the game but if you have lifeline you can use it and continue the game. In the end, they distribute equally winning amount between the winners in his paytm account. These apps are genuine and They pay our users with loyalty. They never cheat with our creators. By using these apps you can make 100$ per day. My personal experience with these apps is very good. If you have some creative skill when sharing with people and entertain him and make money from your videos.